"James Bone" a skeletal figurine with a suit, tie, cellphone in hand standing in front of a picture of Big Ben with a blue sky and clouds background. The nicho itself is hand painted and collaged and in the shape of a mini coffin. 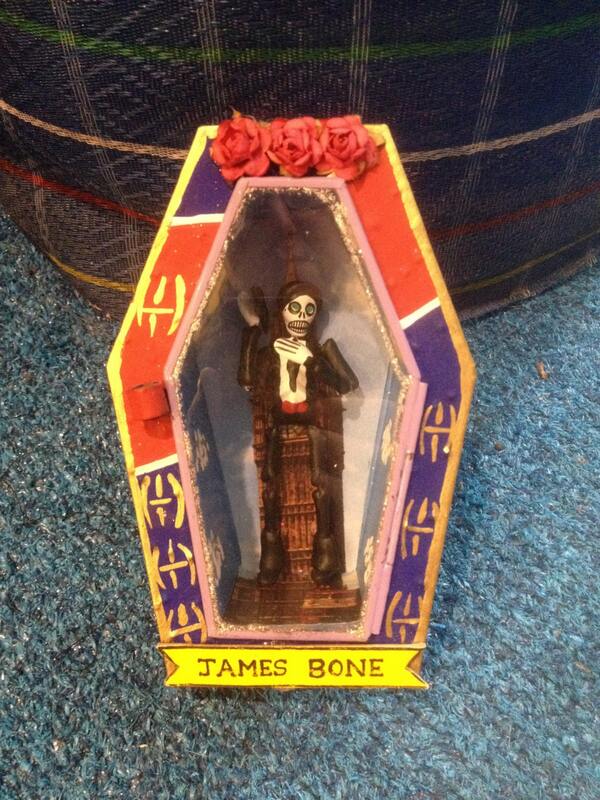 There is a glass door that opens and three dried flowers at the top and a banner on the bottom that says James Bone. The nicho is made of Tin and is lightweight and has a hook on the back to easily hang on a wall with a tack. International buyers please message us for shipping costs and charges.